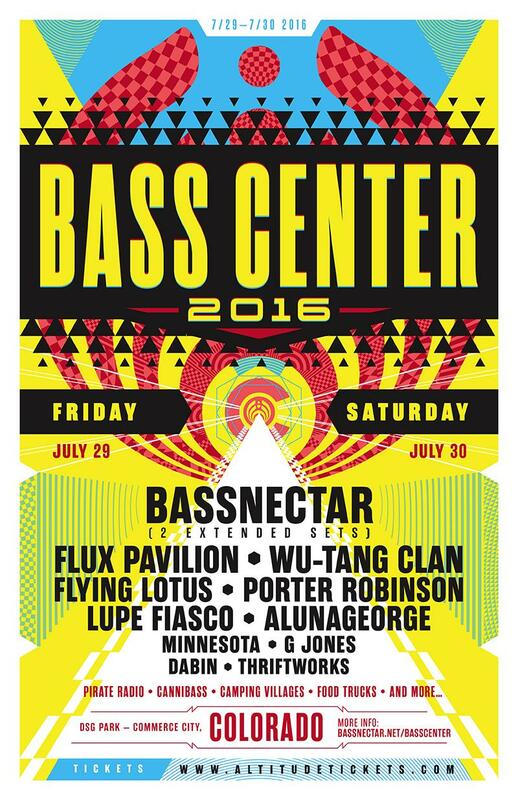 Bassnectar fans mark your calendars for July 29th & 30th. That’s when BASS CENTER 2016 will be taking place at DSG Park in Commerce City, Colorado. This 2-day experience has a massive lineup which includes two extended Bassnectar sets! The lineup includes: Flux Pavillion, Wu-Tang Clan, Flying Lotus, Porter Robinson, Lupe Fiasco, AlunaGeorge, Minnesota, G Jones, Dabin and Thriftworks. In addition to the explosive sets inside the stadium, there will be camping villages outside of the venue with pirate radio facilities, curated food trucks and much more! The event was first announced through the limited release of Bassnectar Chocolate bars. Hidden inside 5 bars were golden tickets that granted the holder 2-vip passes to Bass Center 2016. You can grab presale tickets on Wednesday, January 13th at 9am PT. Tickets will go on sale to the public on Friday, January 15th at 9am PT. You can purchase either single day or 2-day passes for field or stand seating. Prices start at $45. VIP tickets are also available.